...now what do I do with the $46 left over? Cha-ching! Money in the bank. Everyone loves having cash leftover to punt into savings or investments and watch their wealth grow. Whether we’re saving for a tropical vacation, exotic pet, new pair of runners, or a Kombucha kit, having money in the bank is a promise of a future we get to design, a promise of our dreams someday becoming a reality. But what if there were no banks, no credit unions, no Dow Jones? Where would you put your money? Under the mattress? Chances are, it would be pretty hard to save that cash if it was burning a hole in your pocket. And having access to banking is a fundamental part of functioning in our society - you can’t hardly sign up for anything without a credit card these days, and service providers generally frown on being mailed a monthly wad of cash. Many rural farming communities in East Africa find themselves in this predicament - they don’t have access to financial institutions. This makes it challenging to save for the future, borrow for new ventures, or simply conduct daily transactions. So it makes sense they would convert their money into an alternative currency - livestock. Livestock, specifically cattle, serve as a walking bank account for these farmers. Families save money in their cows - assets they can buy and sell in times of need. In addition, cattle are a highly valued cultural symbol of wealth. In Burundi, owning cows separates rich families from poor families, providing access to social privileges otherwise out of reach. For example, the number of cows a family owns can even determine who a person gets to marry! Future in-laws ask to see your stable, not your bank statement. 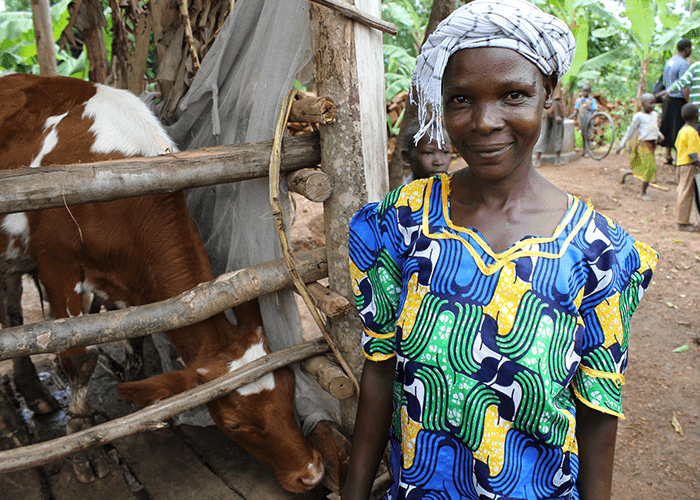 Most importantly, owning a cow moves a family from vulnerable to empowered. Suddenly, they are the ones who can help a neighbour by providing milk for their children, or cash to help them through the lean times. Whatever our culture or currency, we all want to save for that special dream, that hopeful future, that refreshing glass of Kombucha. We all want to be in the position to lend a helping hand to our neighbours instead of turn people away. And we all want to know we've got a little money in the bank - or stable, as it may be.